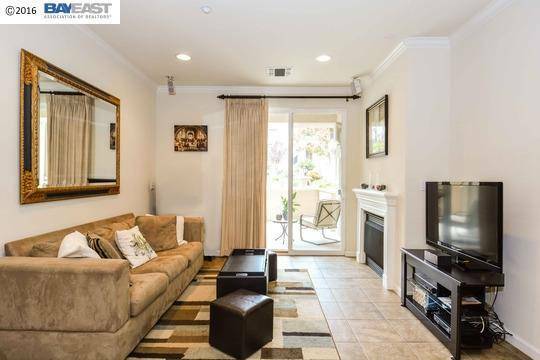 Spacious, Centrally Located Property with easy access to many amenities. Renter to pay for all utilities except garbage. One months security deposit. No Smoking.Small dog okay (additional pet security deposit required). 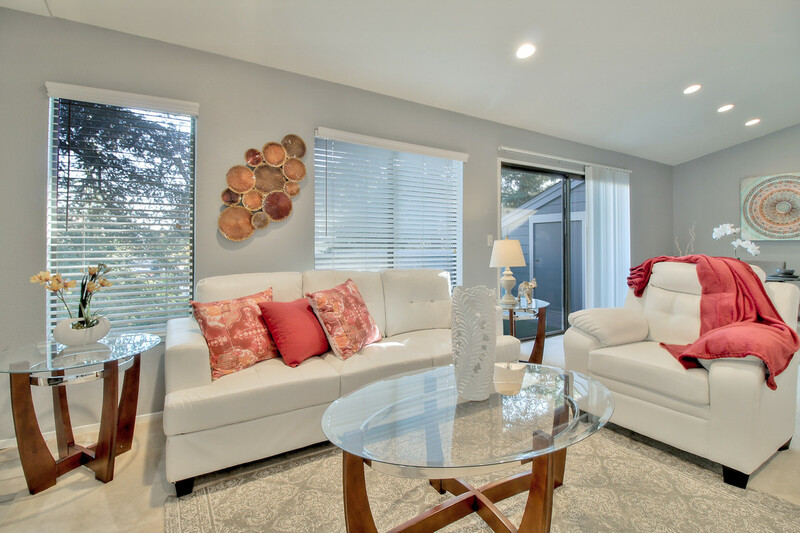 Bright and spacious 2 bedroom 2 bath townhouse in San Ramon – Windemere. 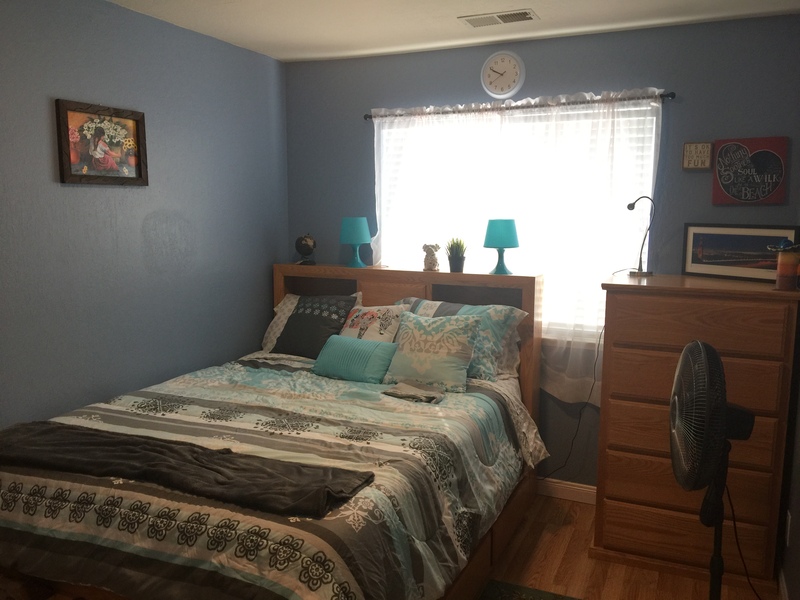 Approximately 1211 square feet with 2 car garage with lots of storage. Relaxing patio . Refrigerator, full size washer and dryer, air-conditioning, heating, fireplace. 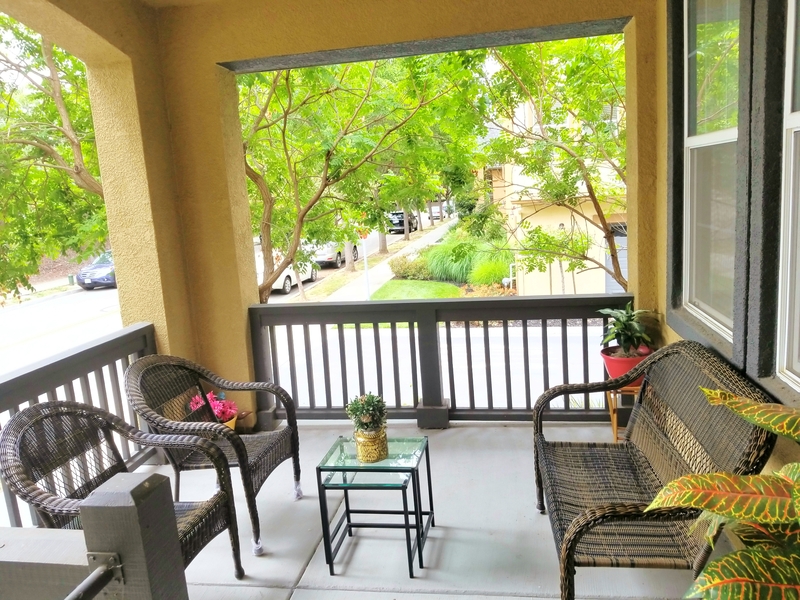 Non-smoking community, quiet and safe neighborhood, court location, nestled in the hills. 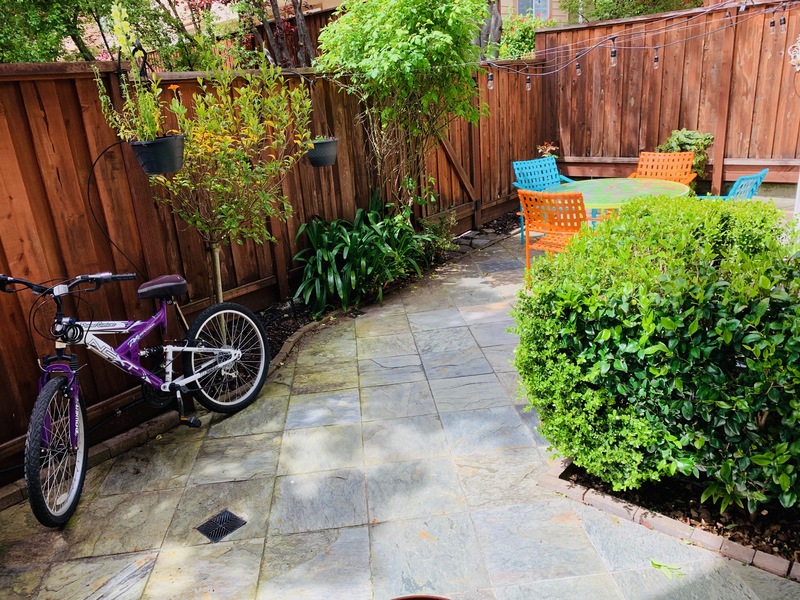 Conveniently located close to Dublin BART, easy access to 580 and 680 freeways, close to parks and trails, mall, top rated schools, community pool and spa. Rent: $2800 plus utilities. Security Deposit : $200. Required : Good credit history, income verification and renter insurance. Available : Jan 21, 2019. Minimum lease : 1 year. No. Pets : Allowed (Max 1) – deposit required. Smoking : No. Call 7329472924 to make appointment to view. Posting by owner, Ready to move-in. Completely updated condo with best location in development, open floor plan, light & bright, gas cooktop, granite counters, new stainless steel appliances, upgraded fixtures & doors, crown molding, recessed lighting, carport with extra long driveway, extra storage, community pool, playground, BBQ area & basketball court, easy commuter access to freeways, award winning schools and wonderful downtown Pleasanton – Available Now – https://sfbay.craigslist.org/eby/apa/6758452238.html , More details available upon request. Owner can show the home. 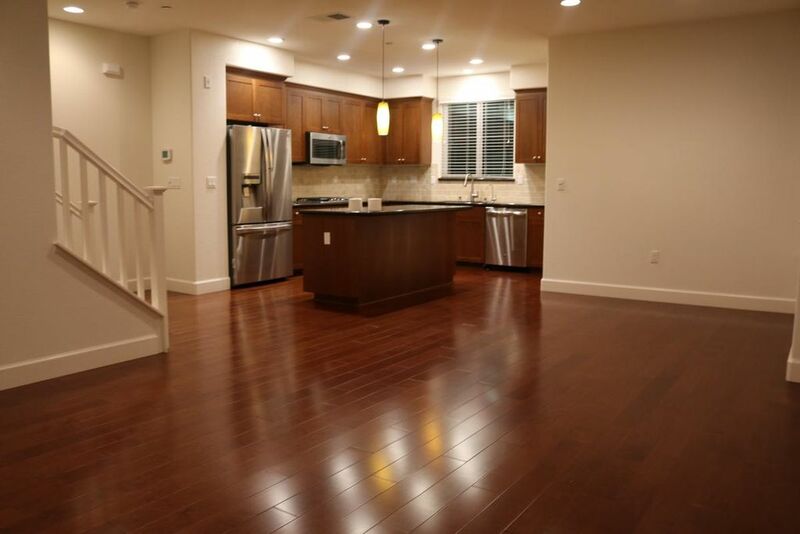 Beautiful 2 Bed 2.5 Bath Townhome available for Rent from Nov 1, 2018Park your car in the Garage and walk to the Bart. 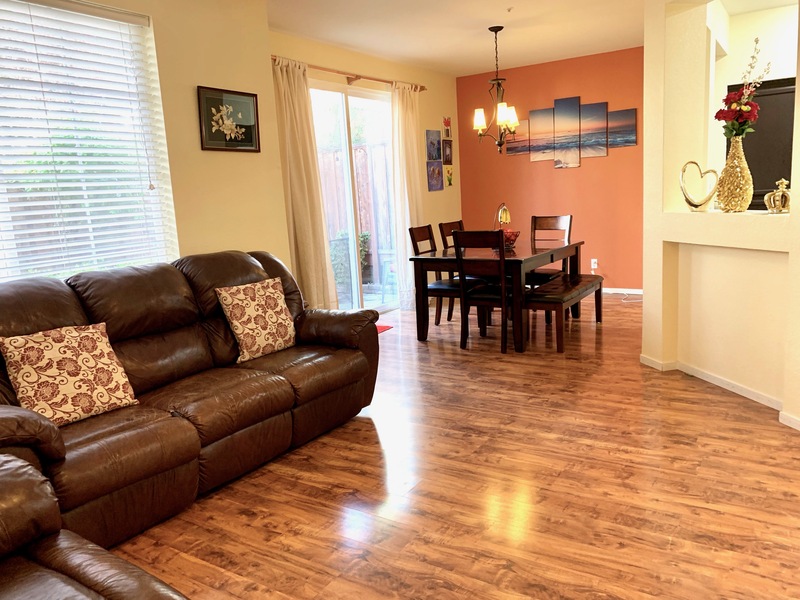 This is a beautiful town home located in the heart of Dublin, walk-able to Bart, Shopping & Schools with easy access to freeways. Close knit community ideal to grow young families. 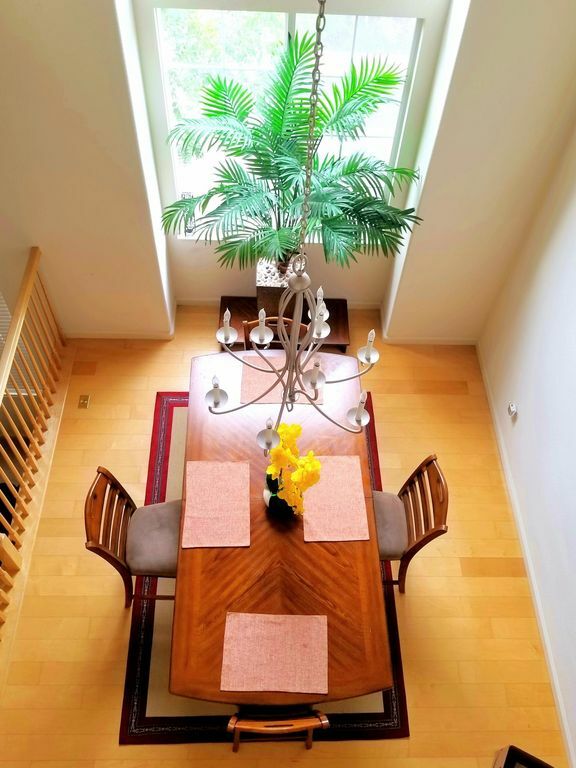 Property features Beautiful Hardwood floors through living, dining and kitchen. upgraded plush carpets on bedrooms, tiles on bathrooms. Two master Suites with bathrooms attached. Reverse Osmosis for drinking water. High end water softener installed. Big 2 Car garage with epoxy flooring and room for plenty of storage – Ideal for kids play and parties. Guest Parking available. See link below for pictures and more information. Ready to move in. Contact 415-299-7428 for more information. We have a spacious one bedroom detached in-law suite/casita available for rent starting Nov 16th. 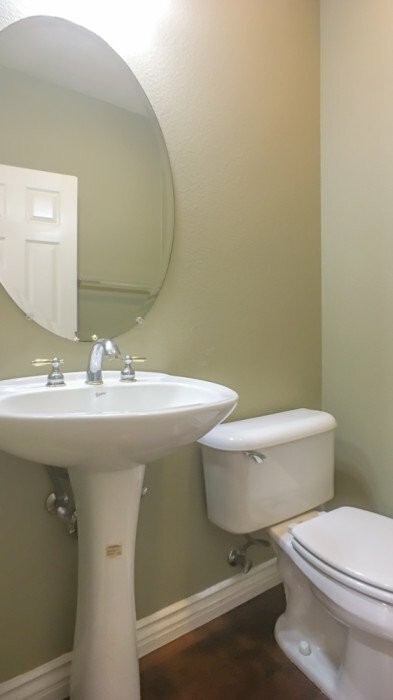 The unit has a spacious floor plan with a full bath and a private patio. The unit is above a 3 car garage (Detached from main home). 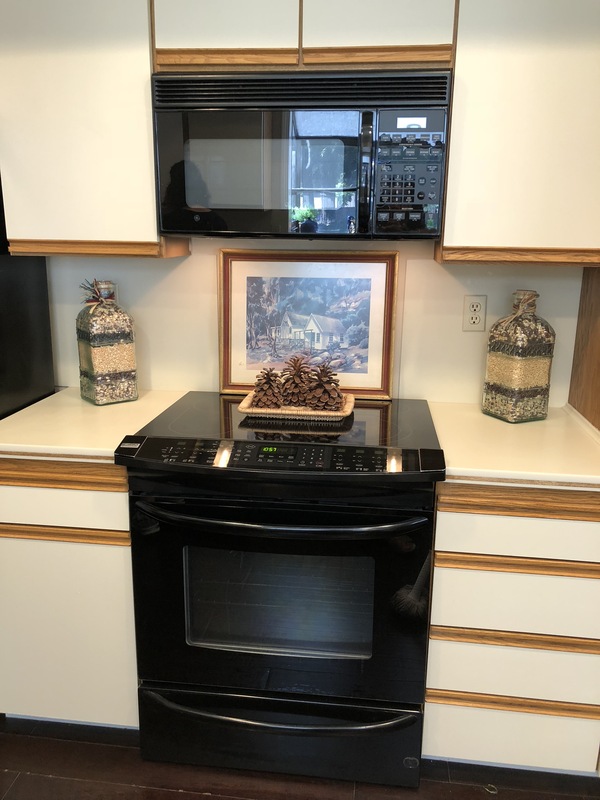 Features: Kitchenette (Includes kitchen sink, microwave, refrigerator, and large pantry), Separate central air conditioning and heating, Washer/Dryer on site. Rent includes Utilities. 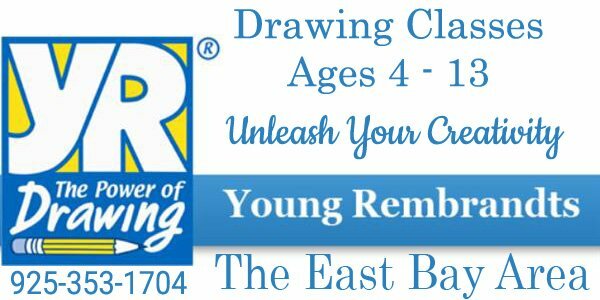 Please email at newtogrhom…@y…com for more details. (1). Home built in 2013, with Bedroom and Full bath downstairs. (3). East Facing/Entrance home, for who are particular about home orientation. Available from December 1st Move-in date. preferably 1-2 years leasing terms. Largest model in popular and well located complex. Easy commute to Peninsula, SF, close to downtown Dublin. Very private location within the complex at the rear with private backyard backing to open space. The complex offers a community pool and spa and is surrounded by green open space. 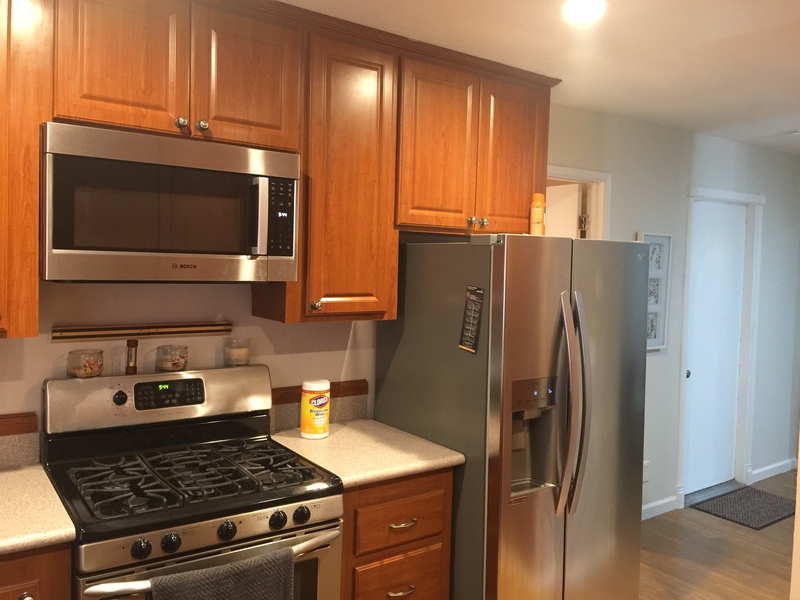 As you enter, you’ll find it full of natural light, airy and spacious with three large bedrooms, 2 ½ updated baths and large, recently remodeled granite and stainless steel chef’s kitchen that includes gas stove, refrigerator, microwave and dishwasher. With an open floor plan, the kitchen conveniently leads to a large dining room with a niche opening to the living area. Beautiful hardwood flooring and a stone fireplace invite you to the living area with dual pane windows, central air and AC. Attached is a two car garage, plenty of storage and washer/dryer in garage. Hurry, this will go quickly! This beautiful home has 2 large master suites (1 master suite on first floor and 2nd master suite on upper level), each with walk-in closets. It features a 2540 Sq. 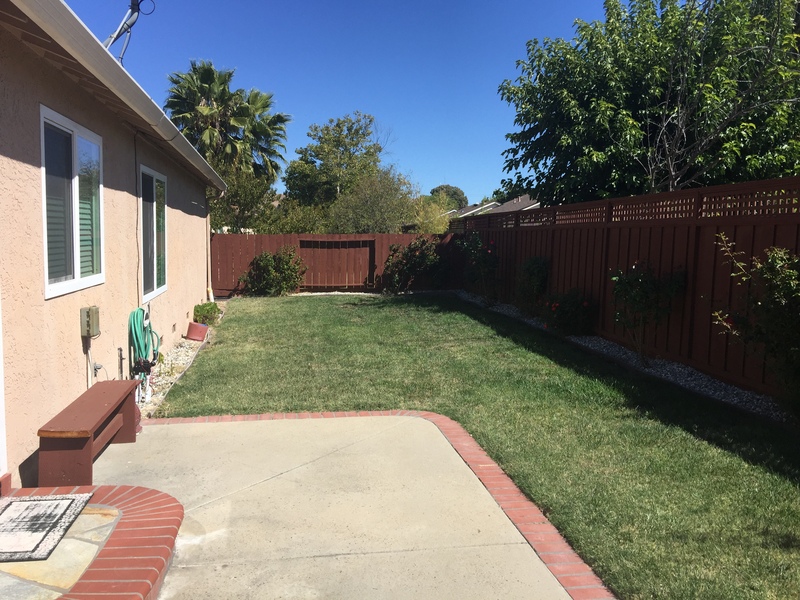 ft lot with patio, garden and gated entry. Indoor laundry with washer and dryer included. Also included is cooking range, dishwasher, oven and refrigerator. Spacious 2 car attached garage with interior access. Has good recreation area including HOA pool and hot tub. 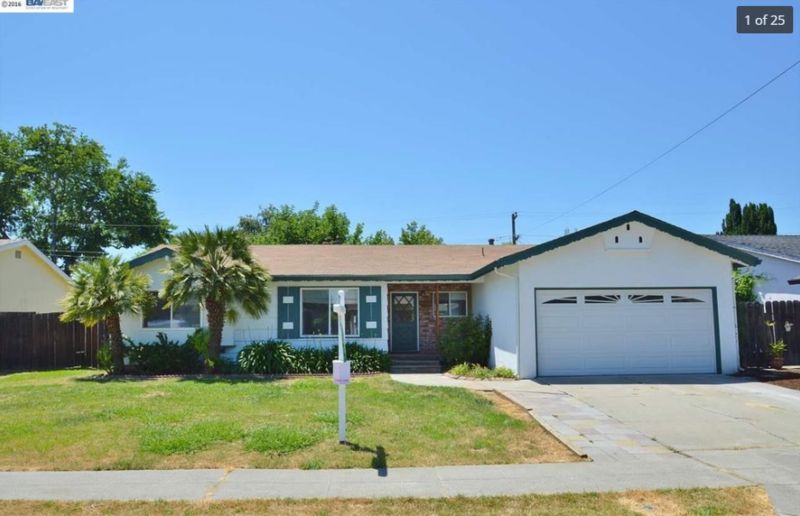 It is walking distance to highly rated Pleasanton schools, parks, shopping and downtown Pleasanton. Walking distance from Walnut Grove Elementary School. Easy commute for ACE train, BART and freeways. Available for rent starting Nov 1 2018. Rent is $3300/month. (Water, Trash and Electricity would be paid by tenant, owner will pay HOA). For viewing please contact via email at sandn201…@g…com. Largest model in popular and well located complex. Easy commute to Peninsula, SF, close to downtown Dublin. Very private location within the complex at the rear with private backyard backing to open space. The complex offers a community pool and spa and is surrounded by green open space. 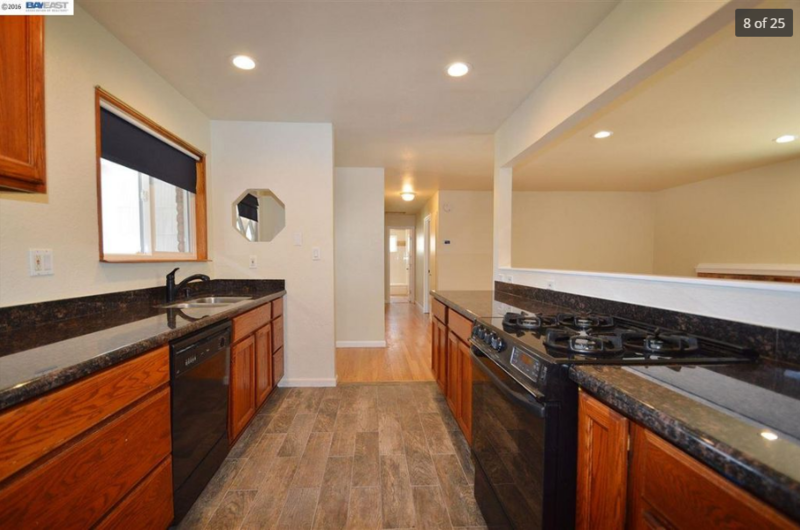 As you enter, you’ll find it full of natural light, airy and spacious with 3 large bedrooms, 2 ½ updated baths and large, recently remodeled granite and stainless steel chef’s kitchen that includes gas stove, refrigerator, microwave and dishwasher. With an open floor plan, the kitchen conveniently leads to a large dining room with a niche opening to the living area. Beautiful hardwood flooring and a stone fireplace invite you to the living area with dual pane windows, central air and AC. Attached is a two car garage, plenty of storage and washer/dryer in garage. Please contact me for more information. Hurry, this will go quickly! 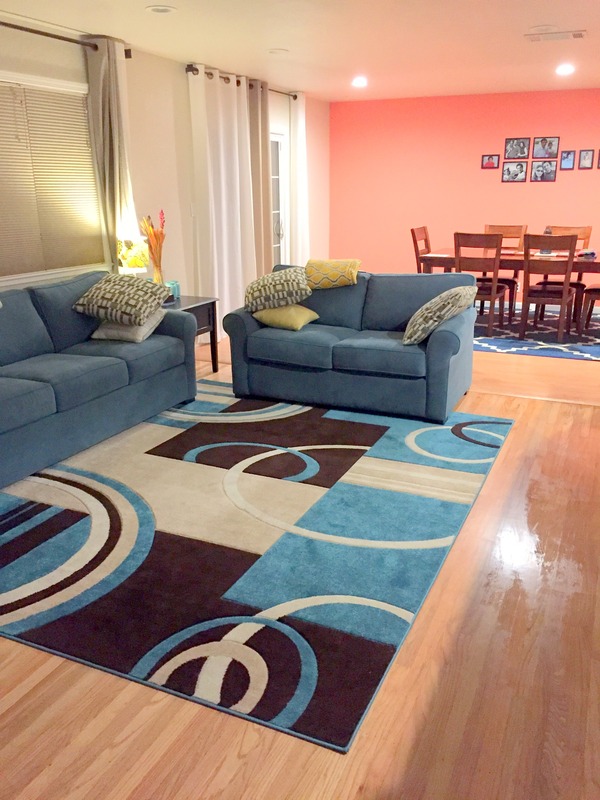 You have to visit this beautiful 3 bedroom Dublin home! You are going to want to make it your new home. Washer, Dryer and Frig. TV built in cabinets, No pets, Air conditioning, simple yet very nice rear yard. avail soon. Updated floors throughout. Give us a call for viewing. 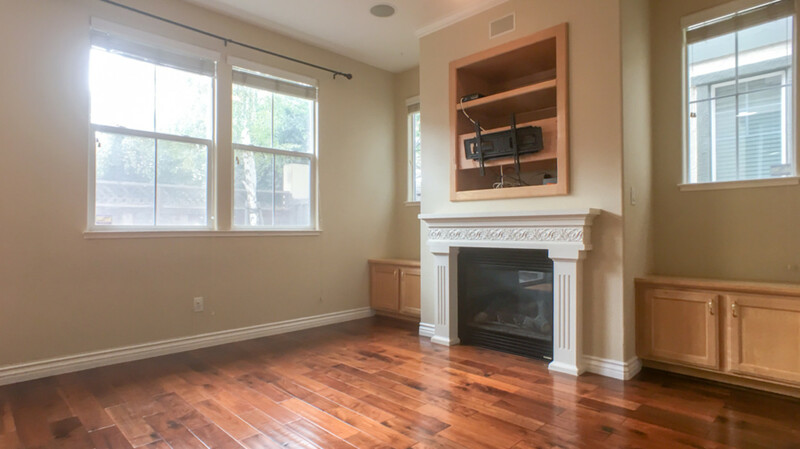 Beautiful 3 Bedroom TownHome for rent in Pleasanton! Spacious floor plan in Verona complex. Hardwood floors in kitchen, breakfast nook area and entryway. Beautiful wall mirrors in living & formal dining combo. High ceiling throughout the house. Separate laundry rm. 2nd detached garage in front of the unit. 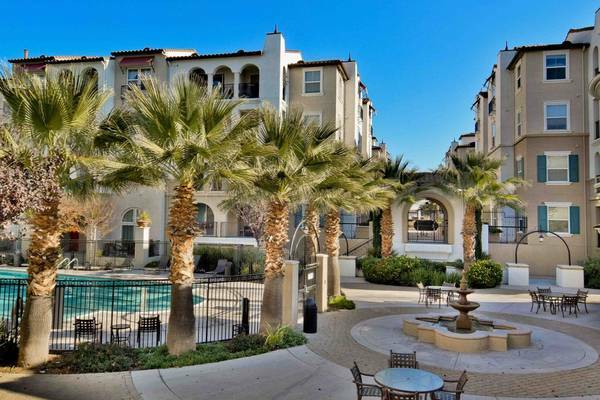 Ground floor condo in a gated community, The Terraces. Modern floor plan with two bedrooms, two bath, dining area, in-home laundry and living area with patio overlooking courtyard. Walk-in closets in both bedrooms that are separated by living area for maximum privacy. Covered underground secure parking for 2 cars. Amenities include Club House, 24 hour Gym, and Olympic size swimming pool. (Furniture not included). Owner pays for HOA. 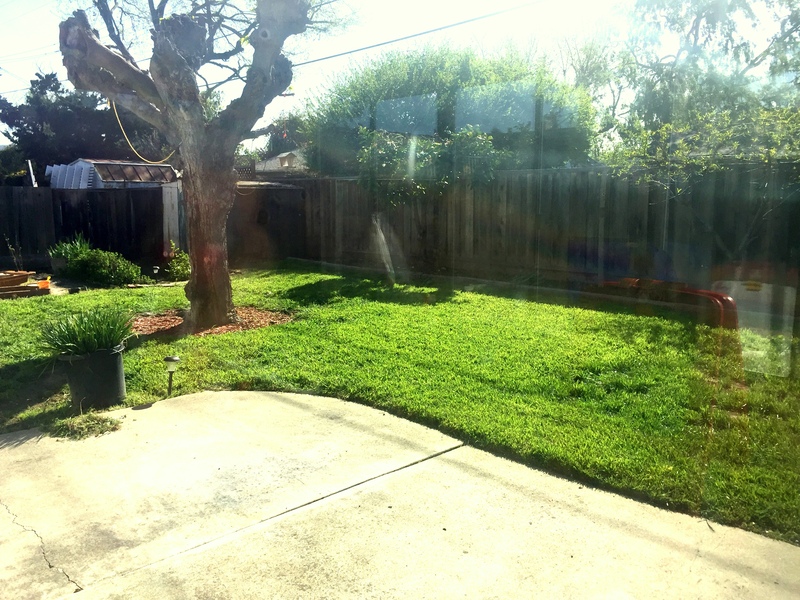 Close to Dublin/Pleasanton BART, 580/680 Freeways, Shopping, Restaurants and Movie Theaters. Close to Harold William Kolb Elementary School, Harvest Park Middle School, and Dublin High School. Perfect for working individuals or a small family! We’d love to help make this your new home. Please email with your name and phone number if interested. Hi, Please let us know if any one interested to move on daily basis rent from Aug 15 to 26. Its having all facilities. Close to BART, Indian store, Indian restaurant…IT companies(ORACLE, Kaiser, Gap..). Please text me: 925-750-3835. Hardwood floors in Lower level, Living room and Kitchen. Good suburb in East Bay with awesome rolling hills view. Spacious and well-maintained townhouse available with street level 1 bed and full bath, off street as well as 2 car garage attached. Many people move to San Ramon due to quality of the schools. The San Ramon Valley Unified School District has many great schools, all known for having wonderful teachers that help students perform well. Located in Windermere with great parks behind the house, doughtery valley library within minutes. Long term lease negotiations available. The House is available from Aug 1st, 2018. 3 car garage. Owner pays for Gardner. Available June 15th. 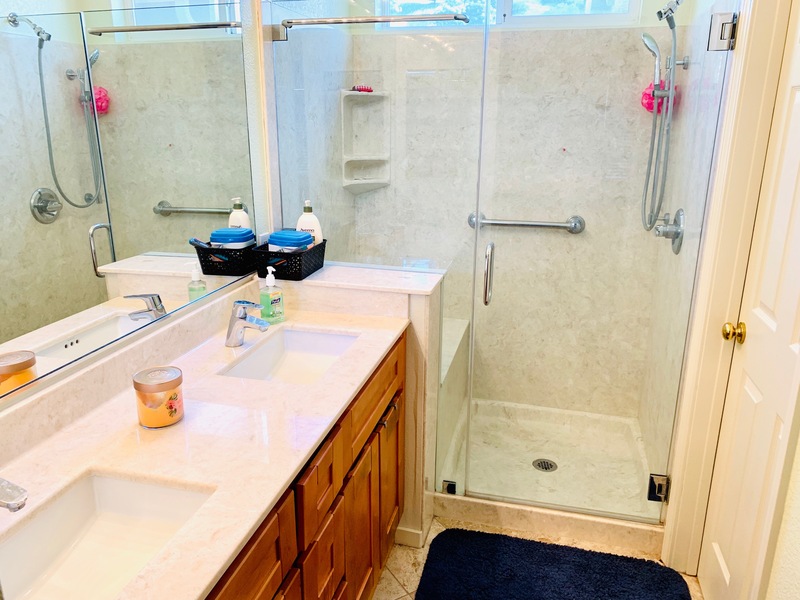 Beautifully furnished,Two bedroom, designer kitchen one bath unit available for rent in West Pleasanton near 580/680.Awesome views, resort like backyard with pool and spa.Contact apk…@g…com for pictures and price. 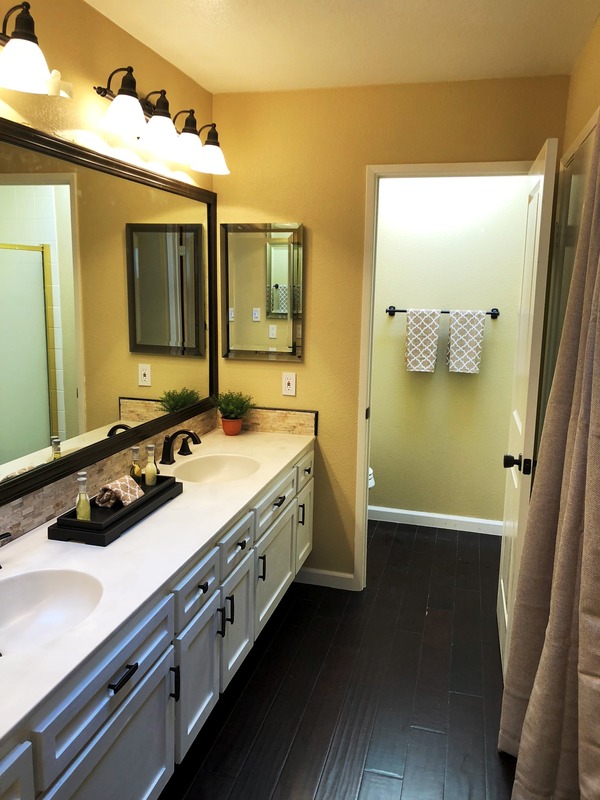 Beautiful 3 bed, 2 bath, 1,234 sq. 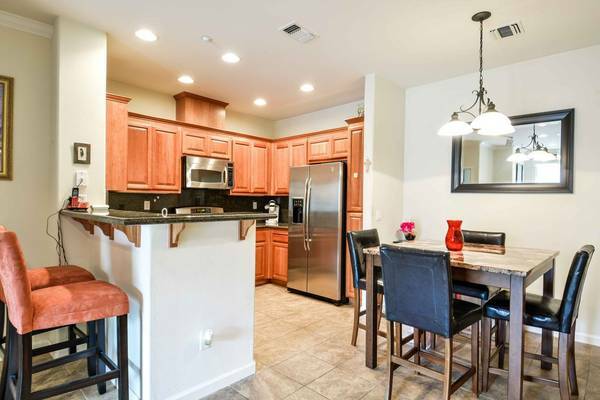 ft. condo just a block away(5 min walk) from the Dublin BART station. The condo opens up to a beautifully landscaped courtyard. Open floor plan with huge windows and lots of light. Hardwood floors throughout the house. 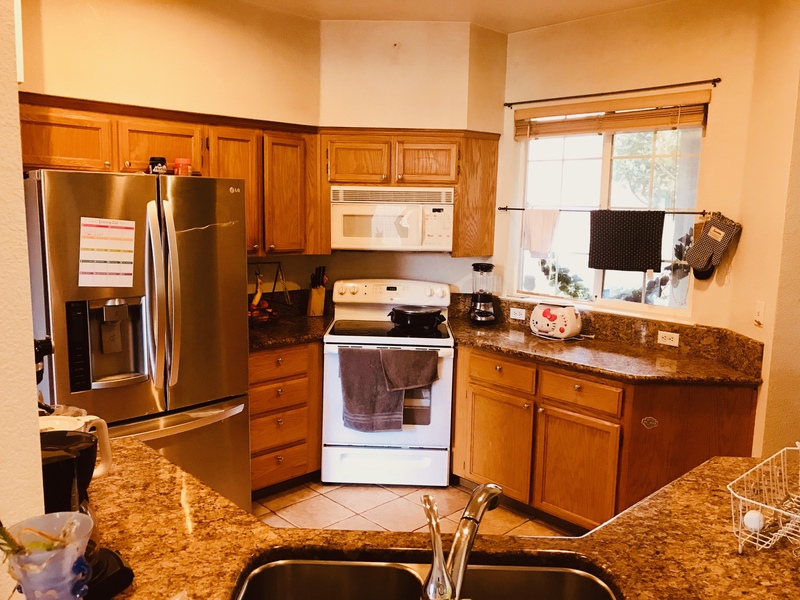 The kitchen includes stainless steel appliances, the quietest dishwasher, Reverse Osmosis water filtration system, granite counter tops and plenty of storage space. 2 designated parking spaces in the gated parking garage. Additional storage room in the underground garage level. In unit washer and dryer in the laundry room.The community has a gym, spa, game room, community room for hosting parties. The building requires a key fob access throughout. Onsite HOA management who responds to any issues right away. Utilities – Water, Gas, Trash, paid by the owner (owner pays for HOA). Tenant has to pay only for PGE. GREAT LOCATION. Easy access to I-580 and I-680, 10 min walk to Whole Foods, Regal Hacienda Crossings, and IMAX theaters. We are looking for a long-term tenant who will take excellent care of the house. 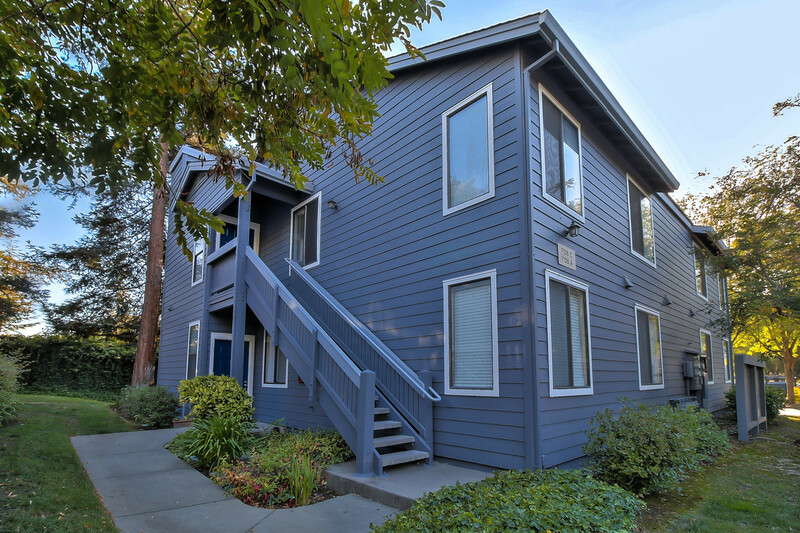 – Ideal commuter location; conveniently located near I-580 and Livermore ACE Train Station. Walk to Train Station. – Looking for lots of bedrooms? This home has 5 spacious bedrooms, including a private junior master suite on the first floor. The great room will allow your family to be together enjoying quality time around the stylish gas fireplace. – Love cooking? Well, this gourmet kitchen is loaded with upgrades that include rich-toned Espresso-stained maple cabinets, warm-toned granite countertops, a gorgeous breakfast bar and sleek Whirlpool appliances. – You will …be delighted by the exquisite master suite that features large walk-in closets. Renting out our gorgeous and spacious 3 bedroom, 2 bath ranch style house in Dublin. It has a lot size of 7000 sq ft and has a built area of 1424 sq ft (excluding a large sun room which comes as a bonus). The house has an open floor plan with natural light coming in all the rooms. Entire home has wood flooring! 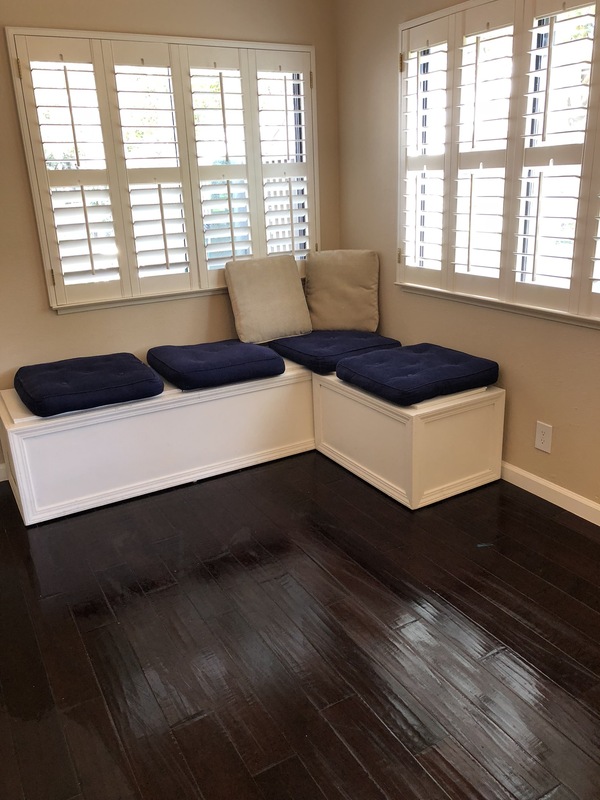 The sun room can be used as a play area for the kids or for simply as a casual seating area. The home is in West Dublin and is walking distance from Murray Elementary, Frederiksen Elementary, as well as, the Dublin High School. The home has a 2 car attached garage in a very family friendly community (lovely neighbors on all sides!) close to BART and 580/680. 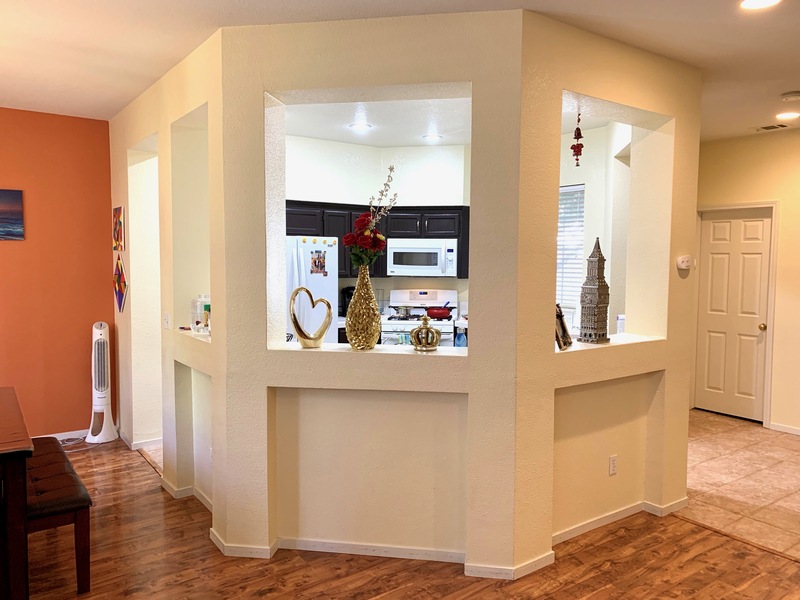 The home has a very good quality gourmet kitchen stainless steel appliances, gas range, whirlpool refrigerator, dishwasher, counter microwave with granite counter tops. The backyard is very large with very fertile soil, great for herbs and vegetable garden. 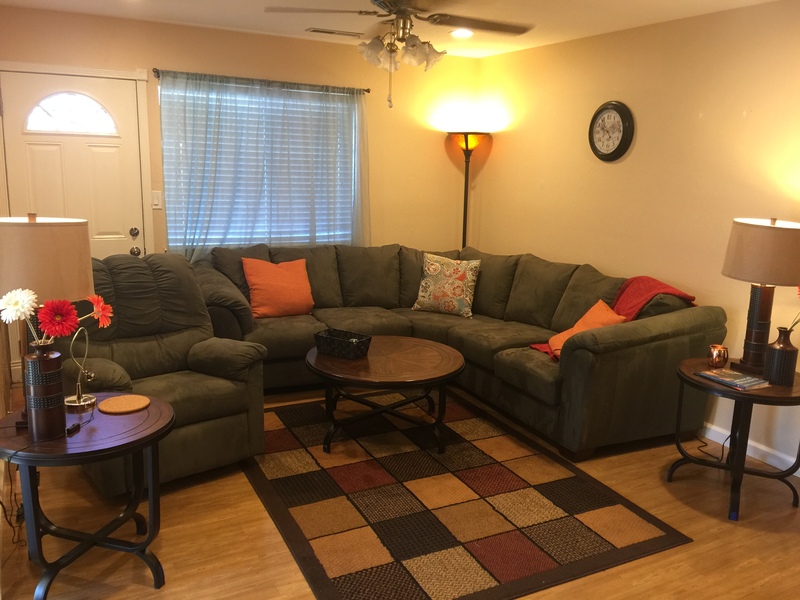 Includes, LG Washer and Dryer in garage Home has been professionally cleaned. Tenant responsible for all utilities, incl. landscaping. No pets! Rent: $3400 per month, $4000 Deposit; Clean Background check, Employment verification must. Beautiful home with 3 bed 2.5 baths with back yard available for rent $3300/Month plus $4000 deposit from Aug 10th 2017. Available for show by appointment only. Contact landlord Naveen on 9253362147. 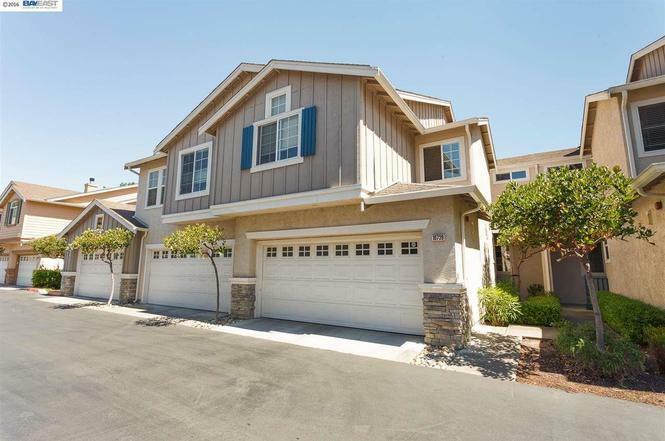 Home is located at Plumpointe lane, San Ramon. Vaulted high ceilings, a large open kitchen with stainless steel appliances, and an expansive master suite. *Available for 1 year lease, No drugs and No smoking. 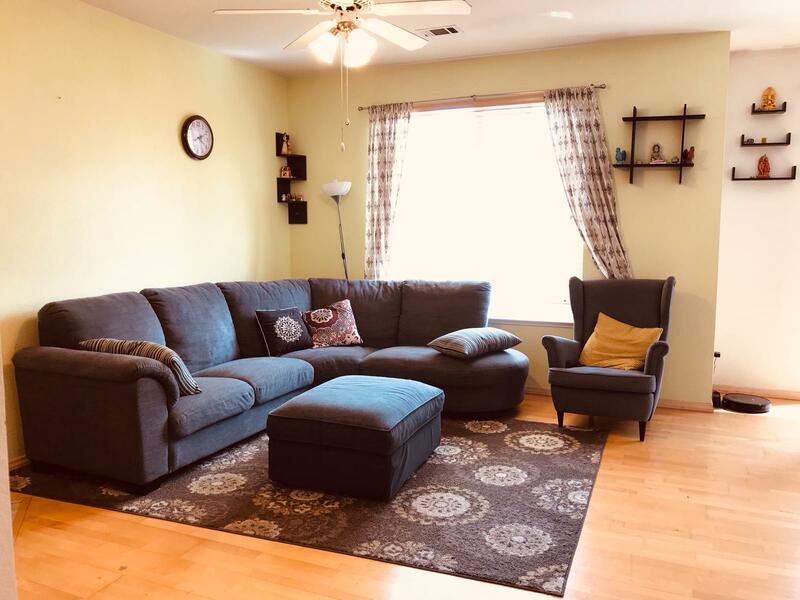 Hi, We are looking for 2 BR, Single family homes for rental starting July 18th. Please reach out if you are renting. Thanks!